Hi Susannah! First things first, why did you decide to call your store Dowse? Dowse is my family name and the name I designed under before opening the shop. The name comes from dowsing - a technique for searching for water, minerals, or anything invisible. The name was too perfect not to use for a shop where we search out and showcase emerging designers and makers. Why did you start the store? I’d been working from a home studio for many years and had decided that I wanted to get out and interact with the world again! I was originally going to get a space in a shared studio, but then I begun to think about having a studio that was open to the public and I could showcase the work of other designers alongside my own. I live in nearby Hove, and one day a shop in my neighbourhood, that had been boarded up for years had a note in the window saying it had recently been renovated and was now available. The timing was too perfect. So I decided to take the space and opened a month later. So it was less about a big plan and more about taking an opportunity that arose and running with it. I ran the shop in the Hove space for five years and have now recently moved to the North Laine area of Brighton. What did you do before starting Dowse? I have quite a varied career history. I did a very conceptual and theoretical Fine Art degree, but that hadn’t really been a good fit for me. So when I graduated I drifted a bit, djing, designing & making clothes, basically indulging all my other interests. Eventually I pulled those experiences together and began working freelance in fashion, working for many different kinds of clients creating garment samples, surface print design and illustration. I also worked with a textile recycling charity as the head designer of a clothing range made from recycled textiles, with this my interest in sustainability and ethics in design developed. This lead to a period lecturing in art colleges on sustainability in design. Alongside this, I had a friend who is a jeweller and I began working with her on a range of jewellery. And it was from here that Dowse, as it now exists, developed. I’ve always had a love of abstract and pop art, mid-century interiors and the clean fluid lines of the Japanese and Scandinavian aesthetics. Geometry, simple lines and forms feed my aesthetic and influence what I design and also what I’m attracted to in the work of the other designers that I showcase in the shop. 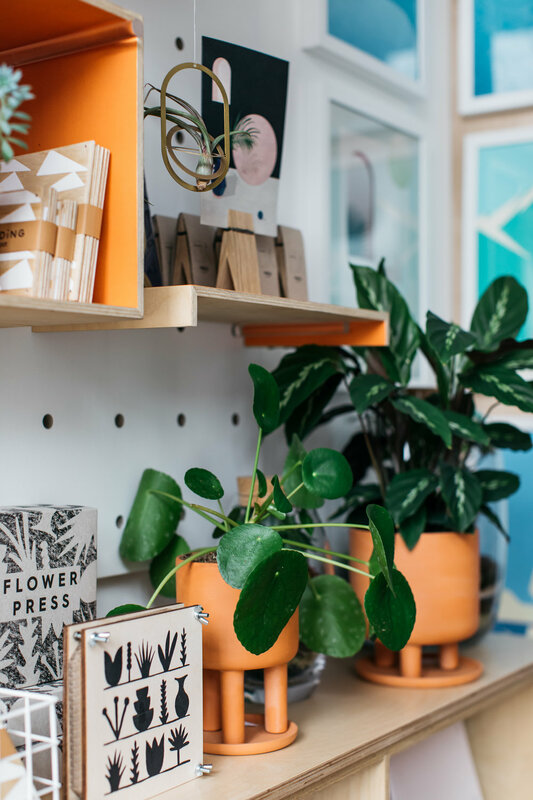 As well as making Dowse’s jewellery and art prints, you also stock wares from others. How do you source your products? Many of the things I find are from keeping an eye on the usual suspects like Pinterest and Instagram. 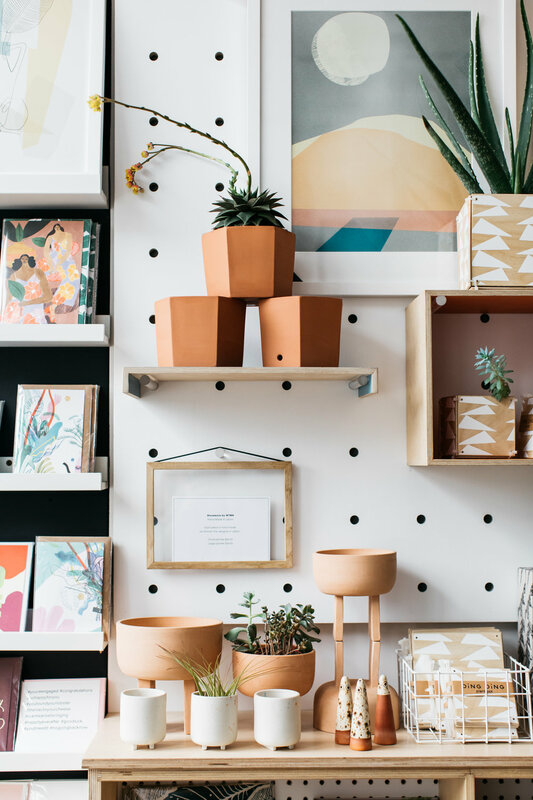 Getting out there and not just visiting the big trade shows is important to find new exciting people, they’re normally found at smaller art and design markets. I also go to Copenhagen every year and discover wonderful things every time I go. I don’t stock things that have been mass manufactured in the Far East. I just can’t trust that someone hasn’t been exploited in a factory and that doesn't sit well with me. So everything we sell is made with care and consideration on a smaller scale by the designers and makers. What are your favourite finds so far? One of my most significant Copenhagen discoveries was Studio Arhoj. 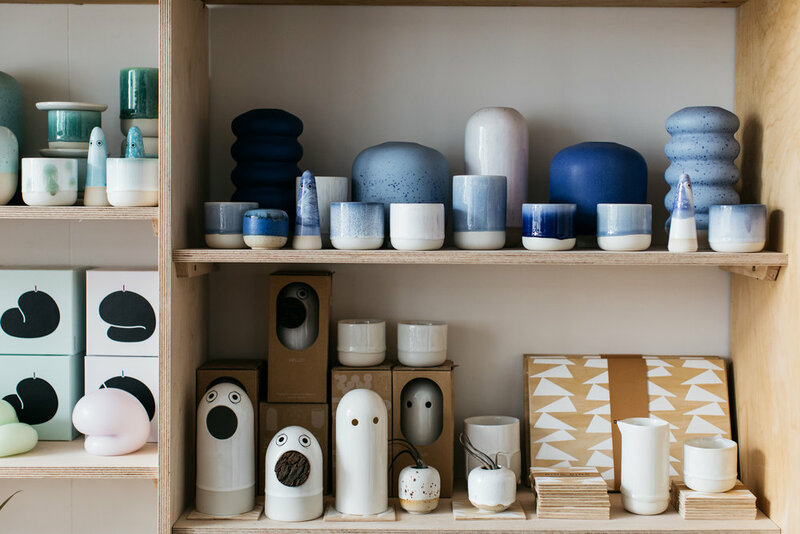 A ceramic studio I started stocking about four years ago and I believe I was the first shop in the UK to carry their range. They're now much more established and have a real cult following. I send their pieces all over the world, as people hunt down their special and unique designs and glazes. The recent revitalisation of ceramics by the new wave of young makers has been wonderful to see. And it seems there are quite a few ceramic addicts out there! One of our current lines that’s a big favourite are the hand made ceramics by Quartier Ceramics, made in Lisbon by one man, Romain, at his potters wheel. I can't wait till our latest delivery from him arrives next month! 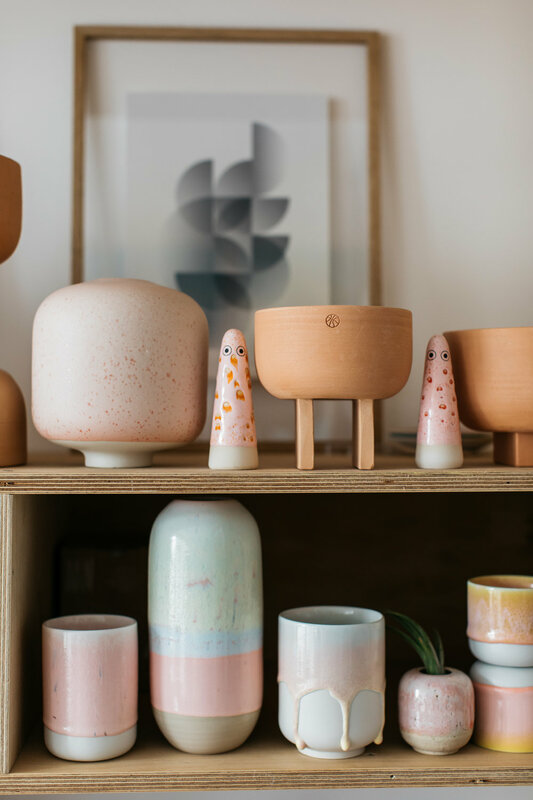 I also love the well designed, simple and British made wares of Studio Wald. They make great paper goods and a lovely flower press. You're clearly passionate about what you do. What do you love most about your chosen vocation? As a designer, being able to interact directly with my customers and see their response (good or bad!) to new designs is great. As a shopkeeper I really enjoy being able to tell the story of the person behind the objects we sell. Highlighting the process that goes in to the making of these beautiful things by an individual rather than a big company. Supporting emerging designers and sustainable practice is a big part of why I do what I do. Finding good design that's actually affordable and not out of reach is also something that's a challenge that I love. I'm on a bit of a mission to make good and thoughtful design accessible to everyone. If you could choose just one product from the store right now, what would it be? I love the sculptural forms of the Hana vase series by Arhoj. One will be making it home before too long. Oh, they are gorgeous! 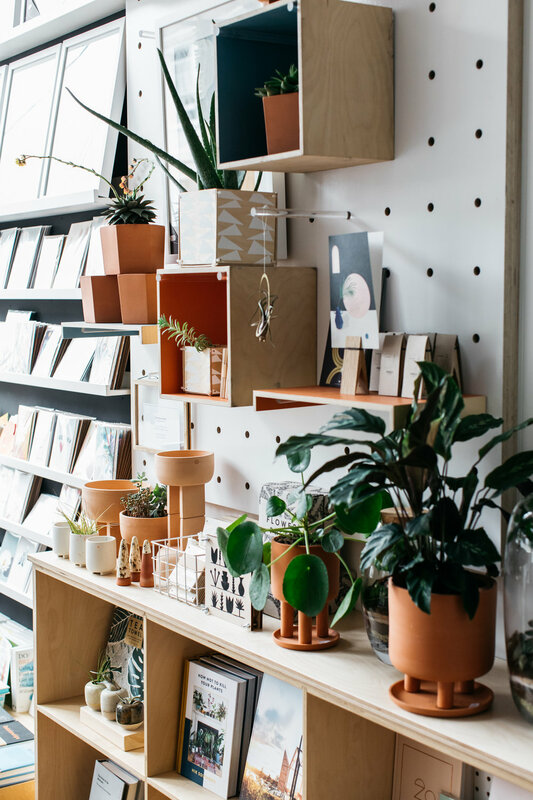 Do you have any advice for other people thinking of setting up a shop? Make what you sell matter, be passionate about it. This will carry you through the tricky times. You have such a lovely Instagram feed - how does social media help your business? I love Instagram. It's inspiring and impressive what amazing feeds people create. I wish I had more time to concentrate on it, it can be an art form in itself. It is really important to reach the right audience for what you do, so for any small business or designer it's as a really great tool to do that. 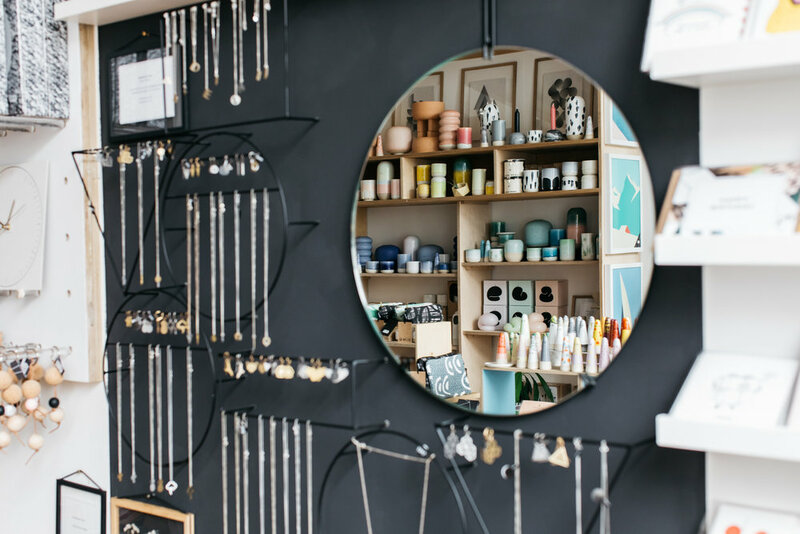 Your new location in the heart of Brighton’s North Laine is renowned for its many independent stores. How does it feel to be part of the community? I love Brighton. It's got a vibrancy to it that you don't often get in cities this size. New people are always arriving and so it's constantly evolving. I don't think there's many places with this many indies in such numbers. It's great to be a part that community. What has been your Dowse career highlights so far? There have been many great moments, mixed with challenging ones! Moving to a new shop space after five years of running a shop, that in itself felt quite a big achievement to do on my own with no investors - remaining truly independent. As a designer, it was a real highlight being commissioned by The Design Museum to create a collection of jewellery exclusively for them to accompany an exhibition on architect Louis Kahn.